If creativity is all about thinking outside the box, expansion, and opening doors to new possibilities, David seems to be fearless. In his book, Maps and Legends, Reading and Writing Along the Borderlands, Micheal Chabon says, "... I find myself writing about disturbing or socially questionable acts and states of mind that have no real basis in my life at all, but which, I am afraid, people will quite naturally attribute to me when they read what I have written." Sure, to some extent, everything we create comes from within, but does it have to completely define us? That's a bit limiting and narrow-minded. If David writes an apocalyptic novel, inventing unimaginable outcomes involving God, does that make him some sort of scary sacrilegious weirdo or devil worshiper? It makes him entertaining and thought provoking. Creative folks aren't trying to tell you how or what to think. That would be counterproductive to the general creative mantra of individuality. What we can do is provide content, ideas, different scenarios, and visual or auditory stimulation that help those around us--readers, art and music lovers, movie watchers--expand their thinking. Sometimes it takes what may be deemed as "over the top" to do the trick. 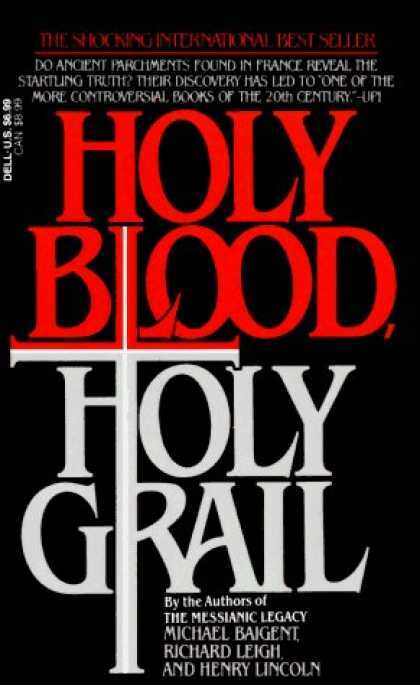 A few years ago, I read Holy Blood, Holy Grail, a nonfiction work by Michael Baigent, Richard Leigh and Henry Lincoln. Apparently Dan Brown based much of his novel, The Da Vinci Code, on its premise and research. It was one of the most interesting books I've ever read. I learned a tremendous amount. I carefully considered the historical information presented and the sources, and sorted out what I felt might be accurate and what might be a stretch. Then I balanced that against what I was taught growing up, in both church and school. Later I decided that my mother, who is a devout Christian, might find it interesting. I thought the history provided might give her interesting insight into her own vast historical knowledge about the Bible and Biblical times. I wasn't asking her to believe any of it; I just felt that it was thought provoking and highly interesting content to add to the mix. My suggestion didn't go over so well. I got an instant "NO," followed by an passionate lecture about what's wrong with the world, evil influences, lies, persecution of Christians, etc. While she went on and on, I kept thinking ... I should have known better. What was she so afraid of? David's novel apparently pushes some boundaries that may put a few folks up in arms. My opinion is: it's fiction! It's supposed to be entertaining, and perhaps thought provoking. The ability to create great works often requires bravery. I can't say that I always wanted to be a writer. That didn't strike me until much later in life, well after I'd graduated from university. It was a strange moment when it happened. I tend to read fantasy, and on one particular day I was reading what was supposed to be a critically acclaimed trilogy from a well known author. I struggled to get through the series. I forced myself to read the first two books thinking that I must be missing something. Then half-way through the last book of the trilogy I threw it on the bed and said, "Oh my god, I can do better." A little light went off that day when I realized that I could take a shot at writing. I never finished reading the book. It was a little smarmy of me to think I could immediately write better than that particular author. It took years of working on this craft to get where I am now. And what's great is that I continue to grow as a writer. I've really enjoyed the journey. I'm not sure that I can call it a creative interest, but in the early years of the Internet I was designing web sites and doing graphic work to help pay my way through university. I love beautiful web design/graphics/video. I only dabble in it since writing is my greatest vice. What's interesting is that you have to be pretty Internet-savvy as an author now, so it's a great marriage of two of my creative interests. Even though I tend to be pretty vanilla on the quirkiness scale, I love quirky people and I see different as a completely positive trait. Who wants to conform? Also, I live in Canada, where we tend to celebrate our differences (cultural and otherwise). Also, I’m openly gay so I guess I fall into that “different” category. As for creative people being different, I don't know. If you meet me in person, I'm pretty "ordinary" (whatever that means nowadays), so I can't say that creative people are all that different. Or maybe I'm not creative enough! LOL! Do you believe being creative has caused you aberrations in life, helped you deal with life's aberrations, or both? Has being creative caused them? No. Being openly gay? Yes. And during times of greatest difficulty I often turned to writing to help me through. So I guess that being creative has helped me to cope with what life has chosen to throw my way. But even more so, my sense of humour has made the difference. Laughter has helped me get through a lot of things in life. Without being able to laugh at oneself, I think we'd all go crazy. From a creative standpoint, I've never really given it any thought. I just do what I do because I love it. Now, have I ever wondered if my writing was good enough to be published? Yes, I used to. But not so much any more. I was in a writing workshop for a couple of years and I spent a lot of time working on the craft of writing. It was a very humbling experience, but like with anything else, it got better with practice. And for the longest time I doubted if I would ever be good enough. As for “distinguishing myself,” I'm releasing my first novel as an e-book. I designed the cover and made the book trailer myself. So I'm certainly curious as to how the marriage of my various creative outlets will be received. Rejection can be hard but over the years I've managed to get some perspective. When it comes to the creative arts, it's a very subjective world. I've had wonderful rejections from editors that said they loved the writing and would have acquired a book like mine a few years ago, but they're looking for something different right now. I've had editors not identify with any of the characters, yet others love them. So when it comes to success in the creative world, I think it's a lot about timing--having the right project land in the right person's lap at the right time. And until that happens, you continue doing what you do and enjoy it. I write because I love it, not because I have to. And fortunately I don't rely on my creative outlets to pay the bills, so that takes a lot of stress out of it. As for motivation, there have been some very supportive people in my life and I have the most wonderful agent who has stood behind me all the way. Her confidence in me and my writing has been a significant boost. Good question. In the beginning, I don't plan my projects. I just sit in front of the keyboard and see where my fingers take me. I've started projects that I've abandoned and others that I've completed. I've often thought of my fingers as channeling some unseen muse because I'm always surprised at what appears on the screen. Characters will introduce themselves or they'll do things that are completely unexpected, and what's exciting for me is that it's like I'm reading someone else's novel for the first time. It's great. Later comes the hard part, and that's taking what I've started and molding it into a more coherent story. Sometimes I have to kill off characters that I've come to really like, but it needs to be done for the sake of the story. Despite how hard that may be, I really enjoy it. I love the editing process. First, I suppose you must love what you're doing. When it becomes work, it's not creative anymore. Second, I guess would be sacrifice. You must be willing to sacrifice some things in life in order to follow your creative pursuit, but I don't think it needs to be significant. 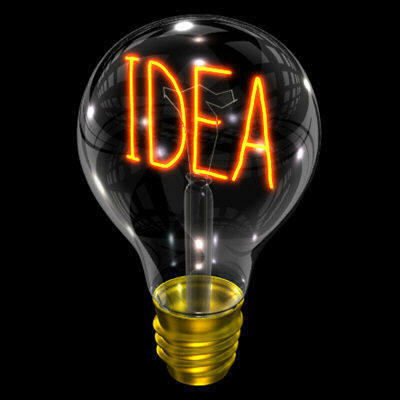 We need to live our lives and quite honestly, life offers so much inspiration for the creative process. There's so much to draw upon around us in the things we do and the people we interact with. So that brings me to the third characteristic: the desire to live life to the fullest. Without that, what's it all for?